The Axiom™ Pro RVX is a high-performance widescreen 9" diagonal multi-function display with RealVision™ 3D Sonar and 1KW CHIRP sonar. With a blazing fast quad core processor, a super-bright high-definition IPS display and the smart LightHouse operating system, Axiom™ Pro delivers a fluid and intuitive navigation experience. With HybridTouch technology, take full control of the Axiom™ Pro from its multi-touch screen, its buttons and rotary knob or any combination of both. 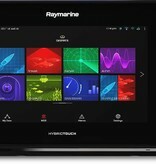 For more about the new technology behind the IPS display used in the Axiom™ Pro, see our West Advisor article: Amazing New IPS Displays for Marine Electronics. 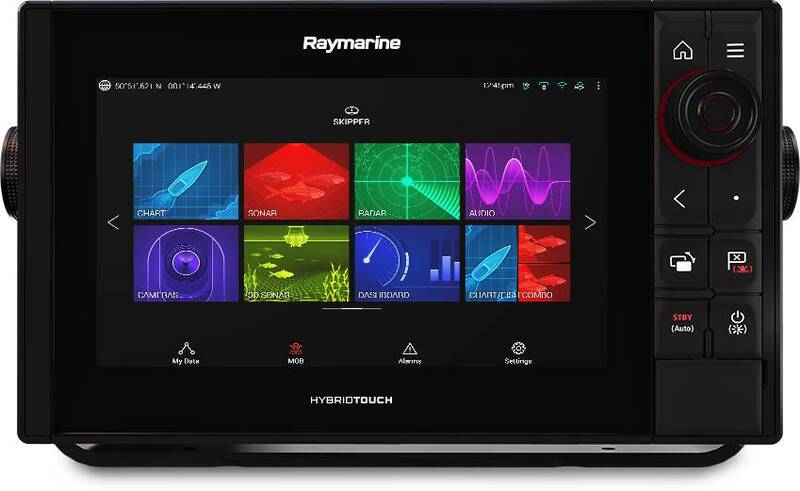 Axiom™ Pro is easy to expand into an advanced navigation network that includes multiple Raymarine Axiom Displays, CHIRP radar, Evolution Autopilot, FLIR thermal night vision technology and more. Pro-grade offshore sonar tools: The Axiom™ Pro 9 RVX has built-in offshore-rated 1KW CHIRP sonar. Add a compatible offshore transducer (sold separately) and experience the stunning definition and clarity of dual-channel CHIRP sonar. With low, medium or high CHIRP, Axiom Pro 1kW sonar offers a wide spectrum of CHIRP sonar bands for deep, mid-range and shallow water fishing. Navionics+ charts: This Axiom Pro 9 RVX is bundled with Navionics+ Charts for North America with full coastal coverage for the USA and Canada, plus over 20,000 inland ponds, lakes and rivers. The Navionics+ charts are also compatible with advanced features like SonarChart Live and Dock-to-dock Autorouting.